Global SheDecides Day, 2 March, is almost here! Stand in solidarity with the global movement – over 120,000 other people who share your commitment to a world where SheDecides. Without Question! Join the rest of the movement in celebrating and marking the date in your own unique way! To help you make a big splash, here are some materials that you can use to help promote the message and inspire others to join in and take action. Add your activities and events to our website! Event's in 2017 ranged from a gathering of slam poetry performers and speakers in India to a city takeover by young people in Kenya; from cutting a SheDecides cake in Pakistan, to public opinion leaders and media representatives congregating in Russia. 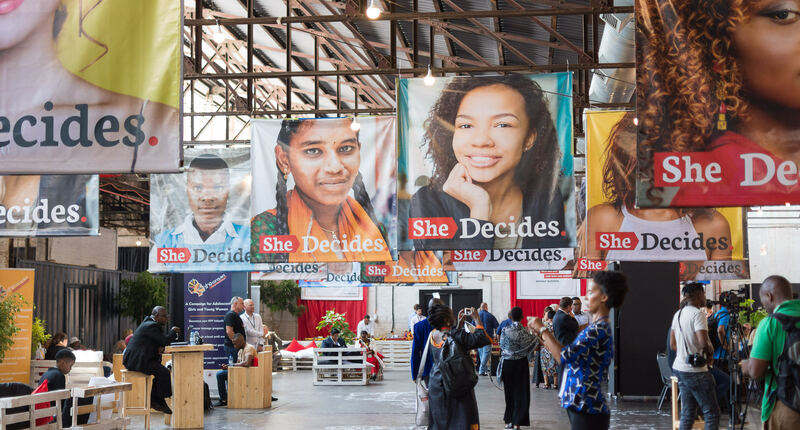 “SheDecides” was the rallying cry for citizens all over the world on 2 March 2018. So this year, lets get creative and take action! Click on the icon to the right here to download your brand new toolkit for SheDecides Day 2019! It’s packed full of useful information, guidance and inspiration to help you give shape to all the amazing ideas that you’ve been thinking up to make the second anniversary of the movement your own. The toolkit is intended to inspire and support all of you – Friends, Champions and local movements - to create, plan and participate in SheDecides Day activities of different sizes and formats. Remember to make them your own, reflect on the ideas here and adapt them to take action that will have the greatest impact in your own community, country or life. Whatever you have planned, make sure to also check out the website - have a look at the Tools and Assets page for all the downloadable brand materials, including the very popular SheDecides sticker! (If you can only afford to print one thing, we recommend that is where you start) You will also find downloadable instructions on this page explaining how to print everything. You are free to use these materials and encouraged to include them in whatever SheDecides related event you are planning. If you have any questions about any of this, please contact info@shedecides.com.